The recent spy swap between the United States and Cuba puts an end to 50 years of wrangling between the two countries. Washington finally decided to smoke the peace pipe with the Castros, kiss and make up. 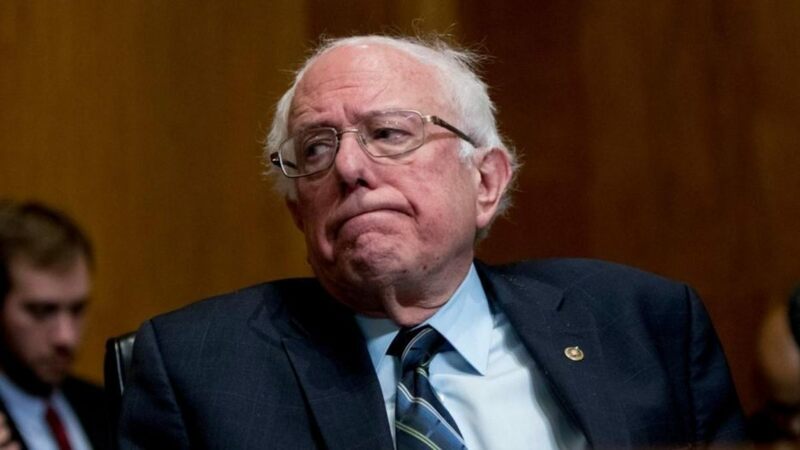 Conservatives and anti-Castro groups are outraged, and that's an understatement.They see it as capitulation after over 50 years of cold war with the little squirt down south. This speculation is reinforced by Roly's resume. It certainly meets the '20 years' part. It does not even come close to meeting the part about 'cryptography and the capturing of the Cuban spies'. There's a contradiction somewhere. We have a problem. Either the secret spy is not Roly or President Obama is lying through every corner of his mouth. Let's begin with a little bit of history on Rolando Sarraff Trujillo, who he was, and what he did to put things in the proper perspective. In the early 1990s and until his arrest, Rolando Sarraff worked at the M-XV, the directory or section of the Cuban Interior Ministry responsible for wiretapping and surveillance. This now defunct group was not in the business of using cryptographic cards or messaging with coded information. The primary job of the agents of the M-XV was to plant bugs. The department was filled with technicians who toyed around with telephones and gadgets and listened in on people. They also coached agents on communications aspects and on the use of electronic devices before they went abroad. The M-XV was not into 'airwaves communications', specifically into things such as sending and receiving coded messages to and from spies, sleepers and moles. Roly probably never saw a cryptocard in his life! Roly studied journalism and they don't recruit journalists to do this kind of work in Cuba. Fidel and his brother Raul are not THAT desperate! The intelligence agency hires and promotes mathematicians to do cryptography. On the other hand, two of Roly's friends and colleagues, Lieutenant Jose Cohen Valdes (a.k.a. Pepe) and especially his wife, Captain Lazara Brito Gonzalez, certainly had access to cryptographic codes. Lazara worked at the M-XI -- Cryptoanalysis -- and later at the M-VIII -- Cryptography. She had access to cryptographic cards and information. Lazara is a mathematician and she could have easily provided the U.S. with useful sensitive material had she wanted to. The question is why she never did. Roly, Pepe and Lazara formed a cell that included my wife and myself which we called PR-2, a name Pepe came up with. PR-2 stood for Partido Revolucionario 2, the revolutionary party founded by the Cuban national hero Jose Marti being the first one. 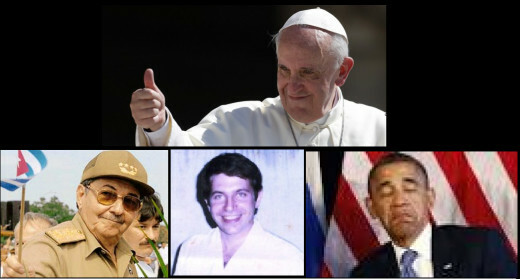 From June of 1992 to April of 1994, these three Cubans supplied me with sensitive information that I relayed to the CIA. Never did the trio supply information in the form of encrypted codes that would have enabled the Agency to monitor the airwaves and detect moles and spies in its midst. The cell was in indirect communications with the CIA through me practically until Roly's arrest and never passed any information that identified any of its members as genuine defectors. Neither the CIA nor the FBI, which was brought on board later, believed that these agents had established their bonafides. The three deliveries that these agents made in two years included some useful information of minor spies working within the U.S., letters explaining who they were, and photographs. The trio also sent photos of themselves and letters explaining who they were and what they had access to. The entire scenario smelled rotten to the U.S. intelligence agencies. It was as if Fidel Castro was behind this information, burning some lesser contributors to catch a group of U.S. agents in the act of extracting these agents out of Cuba. 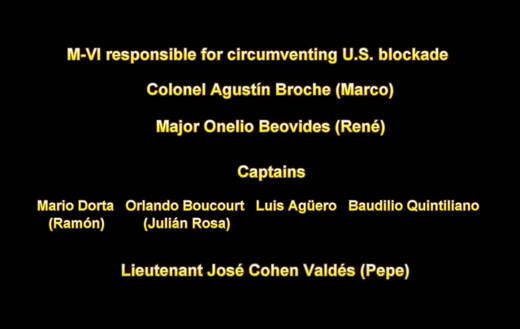 But things really started rolling when the second ranking officer of the M-VI, Major Onelio Beovides or Benovides (a.k.a. Rene) escaped Cuba in January of 1993, landed in Dublin, Ireland, and was picked up by the CIA. It was interesting for many reasons. Of all the people who could have escaped Cuba in such a way, Rene was a fellow who knew me personally. Rene was Pepe's boss. Now wasn't THAT a coincidence! Pepe and Roly's insistence that Rene could confirm me and I could confirm Rene just made the U.S. agencies more suspicious. The CIA wasn't going to authorize an extraction of Pepe, Roly and Lazara from the island, for instance, through their base in Guantanamo, without being absolutely convinced that these were genuine defectors. The entire operation was at a standstill until the trio on the island could establish unambiguously that they were not being supervised by Fidel. They never did. They never supplied the one thing that the U.S. could use in a practical way: the cryptographic codes to which they had access. Fidel wasn't about to give away the entire store to catch some American agents and make them look like fools before the world. I met Jose Cohen Valdes (a.k.a. Pepe) at the Marti Airport in Havana the last day of 1989, one day before yet another anniversary of the Cuban Revolution and two days after having left behind me the Velvet Revolution in Czechoslovakia. He was introduced to me by my ex-controller in Mexico City Orlando Boucourt (a.k.a., Julian Rosa) as, "One of our finest." At the time Pepe was a fanatic communist analyzing the information that I was supplying Cuba. His brothers resented him not only because he was a fanatic communist, but because he was working within the dreaded Ministry of the Interior. He could turn any of his brothers or cousins or in-laws in for saying anything against the regime. For the first three weeks of January 1990 Pepe chaperoned my wife and me around Cuba. Fortunately, we each kept informal diaries of our activities which we still have until this day. Informal diaries my wife and I kept and still have today that shows where we were every day in Cuba in January 1990. The driver was an intelligence officer named Ferro and everywhere he took us, Pepe defended the Revolution and I attacked it. Openly! In front of him. We would argue until wee hours of the morning, most of the time in the presence of Ferro or other Cubans such as the heads of the Combinado Electronico Che Guevara (electronics compound) in Pinar del Rio: Remberto (no last name) and Miguel Alamo who also argued with me. The ladies who served us at the green house in Playas del Este where we were lodged -- Deisy and Fanny -- as well as the old gardener Alejandro, all agents of the Ministry of the Interior, also were aware that I had suffered a change of heart with the Revolution because I constantly kept criticizing this and that and how they did things on the island. Our entire visit was to 'model' schools and 'model' hospitals and 'model' farms and 'model' apartment buildings. We were constantly in the presence of pro-Castro people and defenders of the Revolution. Pepe could not even remotely have verbally attacked Fidel in front of them. Now you see why the CIA had trouble with these agents. Pepe would say things merely to see your reaction, to achieve his goal of persuading... whatever it took! It's not surprising he ended up being an Amway salesman. There's no better person for the job. The Agency was not fooled and suspected all along that Pepe and Roly were controlled by their superiors at the Ministry of the Interior, in great measure, because Pepe had to prepare a report for his bosses during my stay and after I left. What did he tell Fidel? Did he tell the Bearded One that I was a strong supporter of the Revolution or did he tell him the truth? The facts speak for themselves. The reason my wife and I were sneaked into Cuba with fake passports, going through Mexico, Spain, Austria, Czechoslovakia, and Canada until we reached our destination, was that Fidel wanted to meet us personally and thank us in private for our contribution to his Revolution. Fidel took all this trouble and incurred all of these expenses, but then decided not to meet us. And this had much to do with what Pepe reported. Fidel was not about to meet someone who he had just found out had lost his faith in his Revolution. It was more profitable to use this 'turncoat' against the United States in some way. And that idea was put into practice when my wife and I visited the island unannounced in January of 1992. 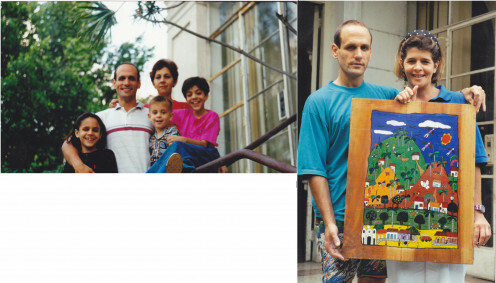 In December of 1991 we were in Colombia for the holidays and decided to visit Cuba where my wife had family. The other reason we wanted to go was that we suspected that something was wrong with Pepe who had plowed his way into our hearts. In letters that the G-2 -- the acronym with which the Cuban intelligence service is known -- allowed to go through, Pepe maintained communication with me. The letters were brought by Luis Aguero, our handler in Mexico City, and I would also reply to Pepe using him as a courier. My first letter to Pepe dated January 28, 1990, shows exactly who was on which side. However, by the end of 1991 it appeared that Pepe was suffering from anxiety. Even Luis asked me in our hotel room in Mexico where we met for my scheduled delivery, "Don't you think that Pepe was a little negative in that letter?" Of course he was, but I replied that it was the usual Pepe and that maybe he was just a little disappointed with the effects that Gorbachev's policies were causing on Cuba. But why would Luis ask such a question? Was he trying to make sure that I 'understood' that Pepe was negative? Why did the G-2 allow the letter through? Why didn't his bosses tell Pepe to edit it? This would be one of the issues the the FBI would later bring up in our conversations. We made contact with the G-2 and met Major Onelio Beovides (Rene) who again designated Pepe to chaperon us around the island. On this occasion they moved us from the no star St. John's Hotel to the plush Riviera, the ex-Hilton. You would think that this was quite generous of the Cuban Revolution until you discover years later that the Riviera was bugged from head to toes. I can't imagine that there were such installations at the St. John's, a hotel that didn't even have hot water faucets. Rich Americans, Europeans and Canadians stayed at the Riviera. Subsidized South American and African fanatics invited by Fidel stayed at the St. John's. Why would Fidel want to record them? Pepe confessed to us his change of heart with the Revolution in the hotel room where we had assembled with another agent (Mario Dorta or Corta, a.k.a. Ramon) at the Riviera. When Ramon excused himself to go to the bathroom, Pepe quickly told us that he changed his mind and would meet us at our room at the St. John's that night. It was such a stunning confession that my wife and I remember it to this day. The next morning, Ramon moved us to the Riviera and the G-2 blessed Pepe as our chaperon. Pepe and us would talk at the Riviera 'in secret', all of us bad-mouthing the Revolution and conspiring against Fidel Castro, for days on end. The first day we met in secret after we were resettled at the Riviera, my wife whispered a caution to Pepe, "Watch out Pepe. EARS! They may be listening." Pepe reassured us that there was nothing to fear, that there were no suspicions of us, and that they would notify him of such an operation. "These things need to be performed by specialists, and they would tell me if they wanted to listen in on you." This is the big betrayal that Pepe wants to hide these days. With his assurances, we dropped our guard and plotted with and without Pepe against the Revolution. 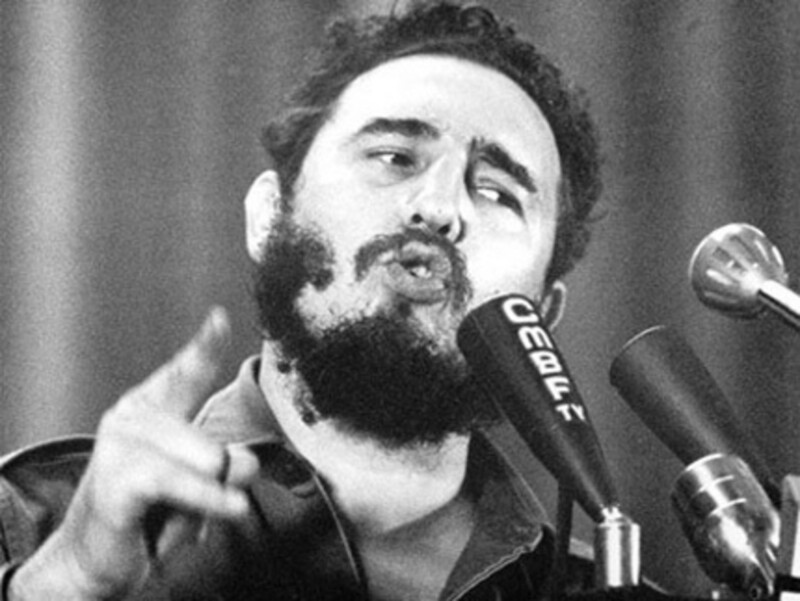 If Fidel wasn't hearing and filming all this counter-revolutionary chatter, he was deaf and blind. It turns out that Pepe explained in a Miami televised show several years later after he came out of the island that the East German secret service, the Stasi, had bugged the entire building for the Cubans in 1988, four years before our 'secret' encounters took place . The G-2 didn't need to perform a special operation to listen in on us because the bugs were already in place. Fidel was listening to us since day one and that's the reason Ramon moved us to the Riviera. Pepe knew this. Therefore, Pepe was working on behalf of Fidel Castro when our conspiracy was taking place. Pepe was putting on a show for us and making us drop our guard so that he could manipulate us for the Interior Ministry. The CIA and the FBI agreed with our reasoning. In June of 1992, we returned to the island, but this time we let Luis know in advance. In fact, Luis also went on vacation to his homeland and we spent some time together in Varadero, the beach resort Fidel had built for foreigners. It took the Castros several decades to learn what Fulgencio Batista already knew in the 50s: that Cuba was fated to be a prostitution and gambling haven for Americans. This time around Pepe introduced us to Rolando Sarraff Trujillo whom we affectionately were to call Roly. Roly became good friends with us and even took us to his house one night. He explained that he worked for the M-XV and that he was in charge of bugging phones and listening in on 'comrades' and that sort of thing. His job was to discover if there were counter-revolutionaries in the G-2 and snitch on them. That's why it is quite funny that Obama makes him out to be this great spy who sent cryptographic codes to the American intelligence agencies, information which resulted in the capture and prosecution of the Cuban Five, Ana Belen Montes and the Myers. Roly was just a 30 year old technician, recently out of training, and who was brought in to help Pepe and Lazara convince us to turn ourselves in to the CIA so that they could channel information to the Agency. Certainly Fidel knew everything about this 'secret cell' if I had bad mouthed the Revolution in front of everybody in 1990 and paranoid Interior Minister Ramiro Valdes suspected of everyone and everything, more so if His Bearded Majesty decided not to see me after he read Pepe's executive summary and there were now three agents involved together with several of Pepe's relatives who now knew about us as well. Stasi-G2 researcher Jorge Luis Vazquez went out of his way to portray Ramiro Valdes as paranoid and obsessed and suspicious and explained in detail how the minister installed cameras and bugged hotel rooms all over Cuba. How could Fidel not know what we were up to? Pepe and Roly prepared some information for us to take back to the CIA. If Fidel was running this operation, clearly the names that I got were passed on deliberately. The information could not have been bad. Fidel had to sacrifice something for a larger gain. So he burned some moles and spies, smaller fries, to obtain the unconditional confidence of the CIA and the FBI in these three agents. The CIA and the FBI liked the information that they got, but never tugged on the line entirely. They barely nibbled at the worm stuck at the end of the hook dangled in front of them. The escape of Rene, rather than entice them further, just made it so much harder to believe. Hierarchical Structure of the M-VI, the Science and Technology group responsible for circumventing the U.S. embargo in the early 1990s. Roly did not belong to this group, but rather to the M-XV Wiretaps. (Pic L) Baudilio Quintiliano (L) and Luis Aguero (R) M-VI Cuban handlers (Dec 1986). (Pic R) Luis and Baudilio (Dec 1986). I visited Langley on Monday, July 13, 1992. There, I declared the intentions of our group to a case agent who identified herself as Katie. I also gave her part of the information that Pepe, Roly and Lazara (...and certainly Fidel) had gathered to establish their bonafides.45 days later I received a call from FBI Special Agent James King and I began my two-year ordeal with the U.S. agencies. It is safe to say that the CIA never believed that Pepe, Roly and Lazara were for real, but that didn't matter to the agencies. As Special Agent John Grant would later explain, if they could get them out, they would undoubtedly turn them around. The problem the agencies faced was being lured into a trap in the course of trying to get the Cuban agents out. What if this trio was an operation run by Fidel? The evidence certainly pointed in that direction. After an entire week of interrogation and lie detectors, not only had the agents of the CIA and the FBI reached the conclusion that this was a sting operation run by pro-Castro groups, but they managed to convince my wife and me of the same. It was a stunning blow for us to discover that these 'friends' were not for real, that they had betrayed us all along and forced us out of hiding. Maybe they had no choice but to work under the gun on behalf of their superiors -- we understood that much -- but the fact that they did not tell us what they were actually doing when we were alone far beyond the reach of the microphones was the greatest of treasons for us. We had sacrificed our lives in an attempt to get them and their families out of the country and they had stabbed us in the back. Even to this day Pepe has trouble understanding that it is not the same for a Cuban intelligence officer to run towards Langley than for someone who spied against the U.S. to do the same. The agencies had also concluded that the three agents were genuinely trying to defect and we concurred. Pepe, Roly and Lazara had made an about face on their philosophical leanings, but couldn't do anything about it. However, as Special Agent Bob Baker once explained, they weren't about to send someone down there to help the Cuban agents defect only to be ambushed by Fidel's security forces. After two years, three deliveries, and three couriers that contacted us on behalf of PR-2, we had reached a stalemate. The U.S. was simply going to wait for the three Cuban agents to find a way out of the island on their own. Pepe, Lazara en their three children (except for the kid with the pink shirt). And Pepe and courier Maria Victoria. All pictures were sent by PR-2 through me to the CIA to identify the players. Photo of Lazara with courier. 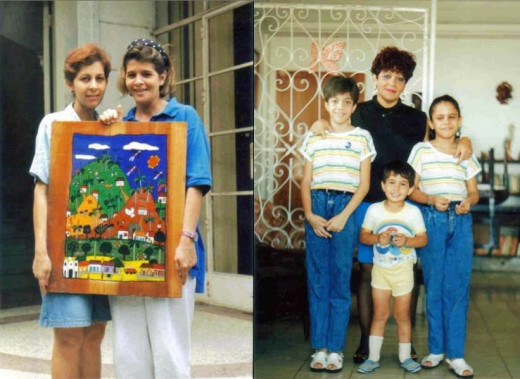 The little boy in the center of the 2nd pic is Roly's child. Maria Luisa Hernandez, Roly's mother-in-law stands behind him. The pics were sent by PR-2 through me to the CIA for the purposes of identification. By mid 1994, Pepe finally realized that the U.S. Intelligence agencies would not come for him. He would have to live the rest of his life in Cuba just like everybody else and this was simply intolerable for him after I had converted him. He had ambitions and Fidel stood in their way. He told me that he sent his brother-in-law to contact the U.S. Interest Section in Havana on his behalf, but his plan was foiled. This man was later detained by the Cuban services and interrogated. This was the second time Pepe's brother-in-law had been detained. The first time occurred when we were in Cuba and had to duck and tuck under Pepe's bed when someone came knocking at the door to break the news to him. Pepe's brother-in-law was selling shirts on the black market at the time of that arrest and was caught by one of Fidel's undercover agents. Therefore, it wasn't altogether strange to the security services that this guy visited the Interest Section. It did not automatically bring suspicions upon Pepe. After all, Pepe's brothers and cousins attended a synagogue for many years without this affecting his career either. The failure to touch base with the Americans meant that Pepe would have to proceed with Plan B: escape by raft. He had been planning this with three other fellows for some time. When he failed to establish his bonafides with the American agencies through me and with the American Interest Section through his brother-in-law, Pepe saw no way out other than through the sea. Today Pepe tells a different and glamorous story which is actually amusing. He says that the CIA gave him a lot of money and that, foolish of him, he started spending it lavishly. The Cuban services caught on to him and he -- being such a slick spy -- realized that he was being followed. This forced him to accelerate Plan B. This stirring saga contrasts with his more realistic claim that he had to tighten his belt in the last few weeks before his departure, diverting food money to buy the motor, some gasoline and the rubber tires he would need to make his getaway in a raft. Pepe Cohen tells so many lies that he loses track of them after a while. The bottom line is that he managed to escape in August of 1994. Because of this, Lazara, who had started a life with another man, was briefly detained. Roly was not so lucky. He was arrested and sentenced to 25 years in prison. The official record shows that prosecutors in Cuba accused Roly of 'belonging to a counter-revolutionary cell'. Now which cell could that be if not PR-2? Roly was the only one arrested and prosecuted! A cell of one? Of course, the Ministry of the Interior had more than enough evidence to put Roly away. PR-2 had voluntarily supplied it to the Government when its members acted voluntarily in front of the cameras and recorders. They had filmed and recorded Pepe, Roly and Lazara talking to my wife and with me in counter-revolutionary tones and giving secrets away. Roly simply had no defense. The Cuban Government stabbed him in the back with the same knife he used to stab me. Lazara testified at Roly's trial and she was let off the hook. As a woman with three small children it would have been a harder case to prosecute, and she had separated from Pepe anyway. She was likely kicked out of the force. They had no interest in her even after I personally turned her in through a letter that I sent to Cuban Interior Minister Abelardo Colome Ibarra. I have confirmation from Cuba that Minister Colome received my notification. So why didn't the Cubans prosecute Lazara if she was part of the same cell to which Roly belonged? As I told one of my sons when he worried about her fate, "They will not touch her because she worked all along on behalf of Fidel and did not leave the island." In the case of Roly, he went to prison because he was preparing his own escape. Pepe simply beat him to the draw. PR-2 was the name that Pepe Cohen invented for our group. It stood for Partido Revolucionario 2 (Revolutionary Party 2). The first one was Jose Marti's Revolutionary Party. And today we have PR-3. PR-3 does not stand for Revolutionary Party. It stands for Public Relations. The Obama Administration made Roly a member of PR-3 for its upcoming propaganda tour. Roly was the right guy for PR-3. He fit the description of what the Obama Administration was seeking for its political designs, or perhaps they tailored the plan around his resume. Roly had been locked up 20 years ago. That state of affairs suited the U.S. Government's PR-3 campaign just fine. Roly had several positive things going for him. First of all, he had suffered a lengthy incarceration that would induce pity and sympathy. That was the right starting material for what the Government had in mind. Just as important, no one could verify anything about him after so many years. Even the M-XV had ceased to exist after the old system was overhauled. And the Cuban Interior Ministry is unlikely to release any information about the structure or personnel of their now defunct directories. The Obama Administration now had free reins to say anything it wanted about the mysterious spy, leaving the press with little more than the passive role of serving as its mouthpiece. Roly was also part of the Cuban intelligence apparatus. Therefore, it would be easy to build him up to be this great spy who contributed sophisticated cryptographic codes to the U.S. agencies. A jailed Cuban politician, a black marketeer or a prisoner of conscience would not have served the same purpose. The U.S. Government could now pitch in some buzz words: Cuban Five, Ana Belen Montes, Kendall and Gwen Myers. Everyone in Miami and in Conservative America knows these names by heart. Who would verify whether these spies could be linked to Roly? What evidence is there? The answer to these questions is always the same: National Security. The buck stops there. Roly was also necessary to convince conservative politicians and anti-Castro groups that the remaining three members of the Cuban Five were not given away for free. Obama needed to show that the U.S. got something valuable in return. They had to build Roly up to be this great hero and Cold War spy. It would not have sufficed to say that they got some anonymous Joe Blow who did nothing for the U.S. So they pitched in the buzz words. These spies cannot be traced to cryptographic codes or to Roly, but who's going to verify this? You're just going to have to take the Government's word for it. They can tell you whatever they want. Therefore, while Alan Gross and the three Cuban spies were received as heroes and went on TV in their respective countries, poor old Roly was taken through the back door to an undisclosed location and 'debriefed'. Just imagine if the press started asking him questions about his contributions to the U.S. and his role in the capture of the moles and spies the U.S. discovered? What would he have said? So no! He had to be 'debriefed' properly for the purposes of PR-3. He's got to be taught what to say and to know his story well. Maybe Roly wants to strangle his old buddy Pepe to death for leaving him holding the bag after all these years. That's got to be forgotten. They have to kiss and make up. After all, the U.S. secured his release and Roly owes them. Roly will not have much choice but to work with the Agency. What are his options? The CIA is great at making you see it their way. No waterboarding. Just carrot and stick massaging. In the coming weeks and once he is properly groomed, Roly will have to come out of hiding. He will visit his sisters Katia and Vilma in Spain. The cameras will be upon them. The exile community in Miami is also dying to hear from the mysterious spy. No doubt, Roly will make the tour at the appropriate time, but it cannot be improvised. It's got to be done right to be convincing. After 20 years of incarceration, Roly certainly has no information to give the U.S. Government. He probably forgot a lot of what happened anyway. He's been drawing pictures and writing poetry for 20 years. Therefore, the 'debriefing' cannot be related to sensitive information or cryptocodes. 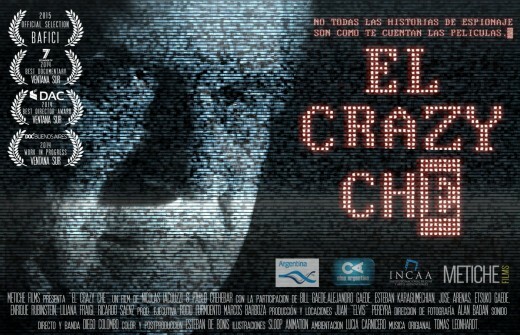 The icing on the cake is that in one Maria Elvira Live segment back in 2009, Pepe Cohen argued that the Cuban Government probably stopped using cryptographic codes some time ago or uses them sparingly because the U.S. has special teams which can quite rapidly decipher them. The Cuban Government knows this just as well. Would it risk communicating with all its agents without knowing whether the U.S. has cracked the codes and is now monitoring all of its 'secret' conversations? The Cuban Intelligence Service cannot be so intelligent if it still uses codes from 1995 to communicate with Kendall Myers in 2009, especially after the security services arrested Roly whom the U.S. identifies as the spy that passed on all these codes to their agents. Americans must be quite gullible people to swallow such poppycock from their own government. Cuba works a little differently, you see? It uses such low tech that its communications pass way below the radars. 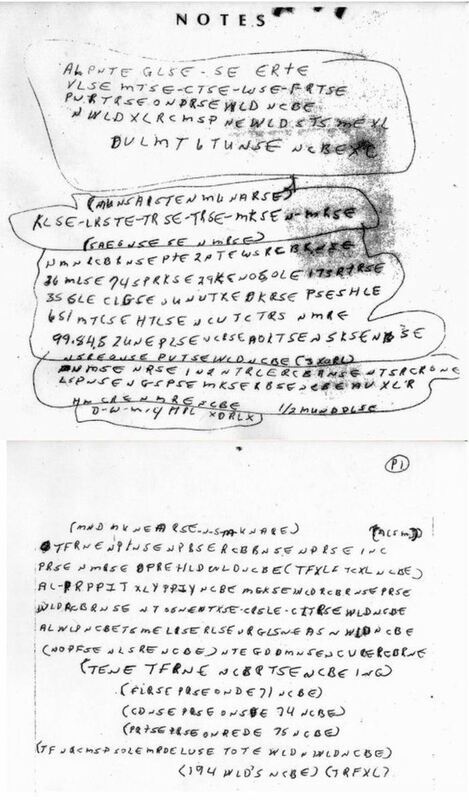 If it wants to send a message to an agent, it merely tells him to tune in to Radio Marti on the second day of every second or third week of every second or third month and listen to the secret coded message, "Pepe sends his love to Lazara on their anniversary." The agent then knows that the U.S. Government is on to him and that he will soon be promoted to a desk job in Havana. That's about as high tech and as cryptographic as it gets in Fidel's Revolution. This material is released so that serious researchers have an alternative source for the Government's public relations campaign that is underway.